07.01.2019 : Due to Representations by candidates, the online exam scheduled on January 9th has been postponed. 29th September 2018: If you have filled online application form successfully then you also searching RPF Admit Card 2018 for Constable & SI Exam 2018. 25th September 2018: Railway Protection Force is going to conduct Sub Inspector & Constable examination for filling up 9739 vacancies. Those candidates successfully enrolled for given vacancies are eligible to attend the examination. The examination will going to held on September/October 2018. Hence, those applicants want to download RPF Admit Card 2018 for Constable & SI exam can collect their call letter from here. 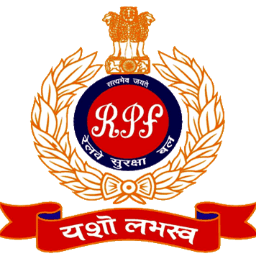 RPF Admit Card will be available for all registered aspirants in online mode. To download RPF Admit Card, aspirants will have to login by entering their application number & password. Railway Protection Force Constables & SI exam will be organized by the Railway Recruitment Board. RPF Constables & SI exam will be conducted in the month of September. The hard copy of RPF Constables & SI Admit Card will not be available. It is mandatory to take a print out of the Admit Card for appearing in RPF examination. Read instructions printed on admit card carefully. All the Eligible Candidates Who filled the Online Application form will face the Exam. Soon the Exam will be Conducted & the Date of Examination will be Announce Soon on the Official Website. “Candidate must obtain at least 35% Marks (30% in the case of SC and ST candidates) in the Written Examination for being considered for other Test/Tests”. Cell phone or any other device. Candidates if you are searching for RPF Syllabus 2018 topic wise? Now from here, you will get a topic wise syllabus which helps in your preparation. Candidates should check Here RPF Sub Inspector Syllabus 2018.